In San Francisco, due to the hills there are a lot of stairs between streets to get from a lower street up to a higher street, literally one block over. At the end of 16th Avenue, some donors in the local area got together and transformed their normal flight of stairs from Kirkham Street up to Lawton Street into a beautiful staircase covered in amazing mosaic tiles and artwork. The staircase is now called the Hidden Garden Steps. The staircase consists of 148 steps and is an extension of 16th Avenue. It was originally meant to reduce graffiti and litter on the stairs, which it has been widely successful in doing. 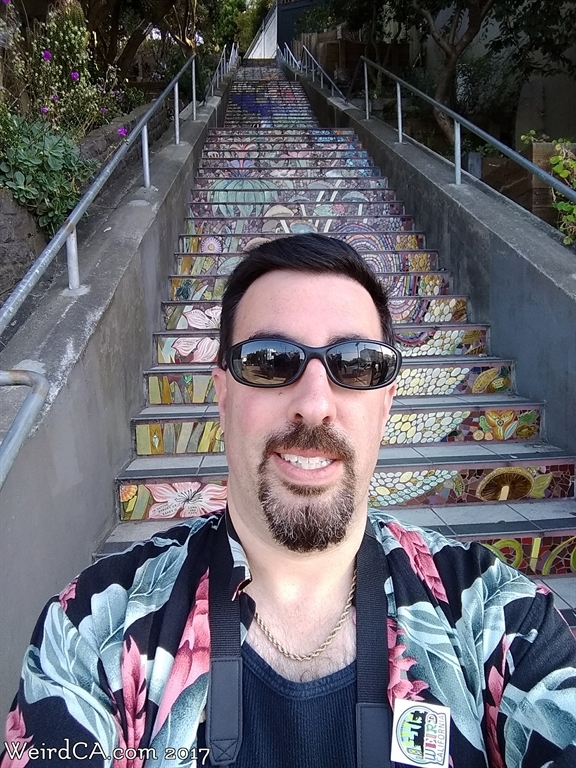 The campaign to have the original stairs replaced with the mosaic tile artwork used the tagline: "Will you help us turn San Francisco's dark, damp, and slightly scary 16th Avenue steps into a vibrantly colorful Hidden Garden tile mosaic?" The campaign was wildly successful with over 600 donors contributing to the project. Donors were able to add text to their tiles with the more they donated allowing more characters on their tiles. As a result, donors, loved ones, births, and deaths are all commemorated in various tiles on the stairway. Artists involved in the project included Aileen Barr and Colette Crutcher. 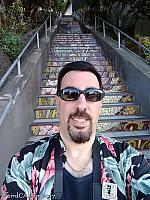 Both artists were also responsible for the 2005 built mosaic tiled Moraga Steps, which start where Moraga Street meets 16th Avenue, climbing up to 15th Avenue. Now, thanks to the project, the stairs create beautiful artwork out of its steps, with each level a different piece of art. The stairs are covered with tiles that make up flowers, plants, dragonflies, salamanders, butterflies, and snails. Installation of the Hidden Garden Steps happened in late 2013 and the opening ceremony was on December 7th, 2013. Two plaques and a bench have since been added at the base of the stairs.